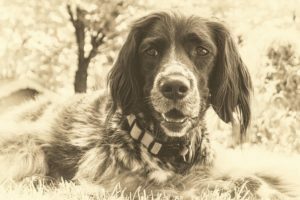 The death of a much-loved pet can be devastating and saying goodbye can be an extremely tough and emotional time, especially for the elderly for whom their pet is often their only companion. Just like the death of a human family member, losing a pet can result in the same set of emotions and in some cases, the devastation and pain can be worse! All too often the death of our pets will make us question our decisions and the guilt can be unbearable. Was there more that could have been done? Should I have picked up on illness sooner? What if I had been home when my pet fell ill! It is all too easy for us to focus on self-criticism and find guilt where there is none and distorted conclusions can plague us for months, even though such feelings are completely illogical. This is never an easy decision, but we should never prolong a pet’s suffering. It is often said that your pet will know when it is time, but it does not lessen the burden of guilt. 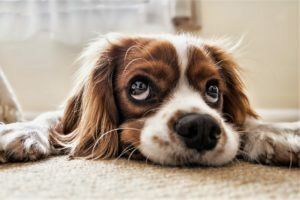 A good veterinarian will help you decide when the time is right and should never allow your pet to suffer needlessly and they will assist you through such a difficult time. There are two schools of thought when your pet dies unexpectedly. The first being that it is in some ways easier and the second that some people may think that they should have detected symptoms earlier. 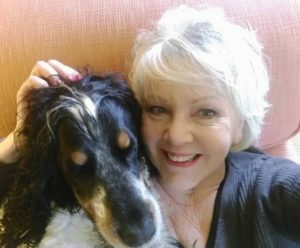 For some pet owners, an unexpected death is thought easier since they do not have to make that difficult decision to have their pet put to sleep. We all hope that our pets will die peacefully, but this rarely happens. The finality of death is a difficult concept to explain to a child and they need to understand the finality. 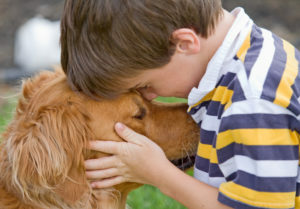 We should remember the strong connections that are formed between a child and their pet and holding a burial, or having a memorial, will help to reinforce the importance of their lives. Children may not immediately show their emotions, but this does not mean that they are severely affected by the loss. Very young children may not fully understand the concept of death and reading age-appropriate books about death may prove extremely helpful. 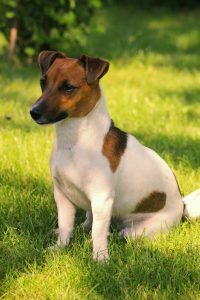 There can be a period of denial following the death of a pet, followed by anger, which can be directed at either yourself or even the vet. Invariably, there will be times when you avoid returning home since this is confronting the reality of an empty home. We may feel irritable, self-critical and fall into depression and pet parents realised that their loss is permanent. 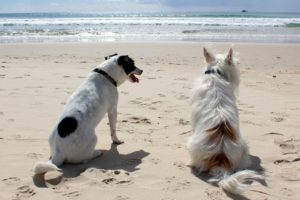 Sometimes recalling memories of your happy life together, rather than a snapshot of your pets last days/hours can help. The pain may feel intolerable now, but YOU WILL GET THROUGH and there will be a time when those beautiful memories will bring happiness and laughter instead of pain and sorrow. So peaceful. And then …. the baby alarm sounded. 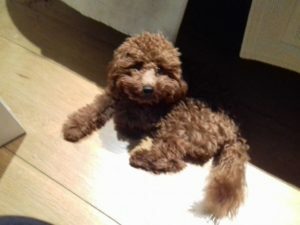 Moses the poodle pup (4 months old) had started to stir. I dashed from the bed throwing my dressing gown around my shoulders as I ran into the kitchen and opened the cage door to extract the most adorable puppy ever born. As I picked him up he started to pee, and continued to pee down my dressing gown until I reached the back door and then he stopped! It was so difficult to put him down onto the cold garden slabs. He was adorable and like a living teddy bear. His pleasure at seeing me was so touching but his pleasure at suddenly seeing his partially sighted brother was indescribable. Poor Magic was subjected to repeated attacks from this little ball of ginger fur, huge eyes and a never-ending licking tongue. The days were filled with regular play times in order to tire out the puppy and lots of cuddles for Magic so he wouldn’t feel left out. Moses slept regularly in his cage as he needed his sleep for his development. Watching Moses was a constant job when he was out of the cage as any lack of movement in his legs usually meant he wanted “out” but didn’t quite get the message to wait. Making sure Magic was cuddled and soothed and placated was also a necessity. Walks were an experience. Magic being elderly was slow and meticulous in his smelling of every corner and paving slab. Moses, on the other hand, spent most of the walk standing on his two back legs and waving his front paws trying to win the attention of all passing walkers. Which he did. This pet sit was such a pleasure. During the week I noticed Moses’s improvement in toilet training and routine. Three months later and the gorgeous poodles are even more gorgeous. 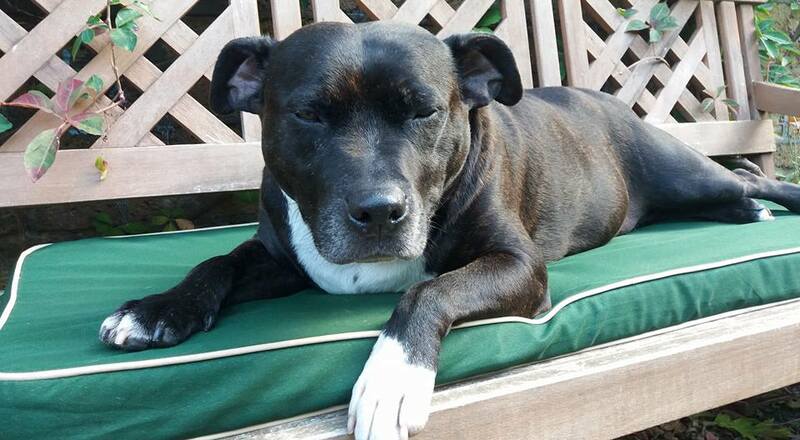 Magic is still partially blind but may be considered a suitable candidate for eye surgery very soon. Moses is now seven months old, still as adorable and a lot cheekier. Night time cage is no longer needed and both dogs like to lie on their own blanket, on the floor, at the base of my bed. Their gentle snoring is actually comforting and soothing. Walks were determined by Moses whose furry face, huge brown eyes and wet nose would suddenly appear over the edge of the bed. Whilst putting on Moses’ harness and Magic’s lead, Moses would grab the lead and excitedly pull Magic towards to door to hurry things along. Magic put up with a great deal of bullying from Moses but the playfulness will decrease in time. Or will it? My meals were taken in the kitchen whilst the dogs were eating. This worked very well as they didn’t hurry their food in order to follow me around the house. Pet sitting is an adorable hobby and job. Why on earth didn’t I do it sooner? Having worked in the pet care industry for the last twenty years, our clients and anyone associated with our company will be aware of the importance of using microchips to help identify your cat/dog if they go missing. Indeed since April 2016, having your dog microchipped has been mandatory and anyone failing to comply with this legislation may face a penalty fine of up to £500. 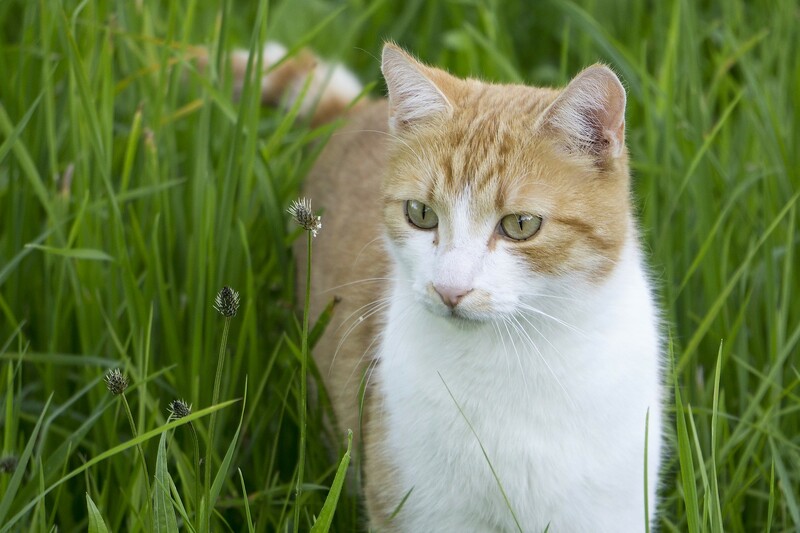 Although cats are exempt they remain much-loved family members and although microchips allow us to identify our pets, they cannot help us find our beloved pets if they get lost. 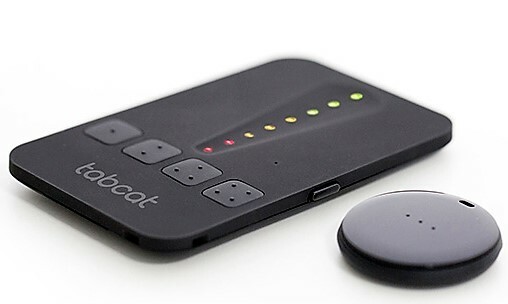 When I heard about Tabcat, which comes with a directional handset, two lightweight homing tags and waterproof cases, I was keen to test it and I can honestly say it works! Now I have three cats, two of which are cat potatoes and rarely venture out of our garden. 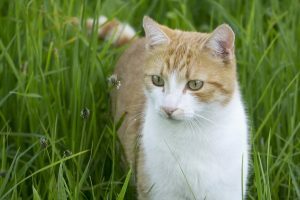 Ed, however, loves to roam and when we lost her for almost a week six years ago, we were completely devastated and if like us, you have a cat that likes to wonder, this could be the ideal solution. I should mention that it was a temporary loss, for she returned after posting copious amounts of leaflets through doors and informing our local neighbours. My main concern was trying to get her used to wearing a collar. 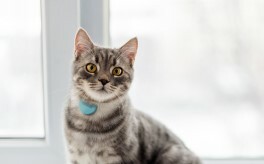 Being a rescue cat, she was micro-chipped as a matter of course and therefore was unused to having anything around her neck, so getting her used the device has taken time, patience and a few of her favourite titbits! We live in an extremely rural area, surrounded by woods, open fields and a forest, so it was not unusual for me to be shaking her biscuit tin each evening and calling her name like the local village idiot when she failed to return for her dinner. Before using this device I had assumed that she was too far out of range and therefore did not hear me calling, but with Tabcat her position was easily pinpointed which showed that contrary to our belief, she rarely ventured too far from our home. It is important that you follow the directions when first using the device, which activates a low beep when you press the locate button. This gets louder the closer she is and I am still using the same batteries that came in the box, proving that they are durable. Since our cat has an allotted time outside of our home, she has learned to associate wearing the collar with going out, so we no longer struggle to attach it around her neck. We now know that her territory is much less than we thought and have discovered her favourite hiding places, much to her annoyance! Although we have only been using this product for a couple of weeks, I would certainly recommend it to our clients. The batteries seem durable and the device is easy to use. 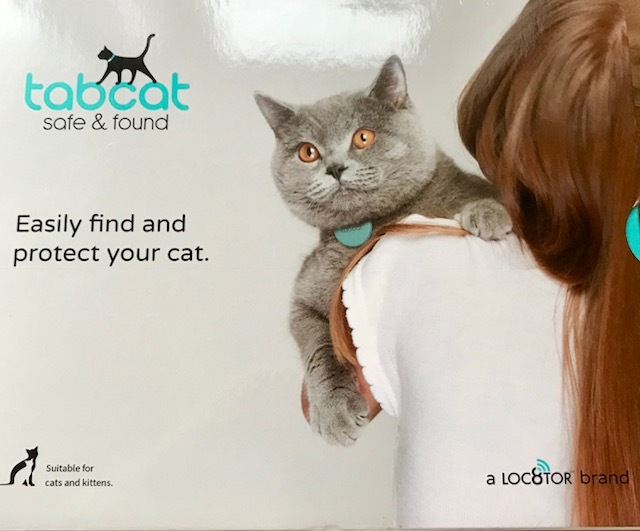 I have always been impressed with its ability to locate our cat even in a garage, with a metal shutter, so it does seem surprisingly accurate. Setting up the device took me approximately 20 minutes (assembly and syncing the unit to the the collar). The range states 400 feet but I have yet to test its full accuracy. In essence, however, I would say that it is reasonably priced and works PURRfectly. A product that I would definitely recommend. For full details visit the TABCAT website. Why caring for a rescue dog is such a pleasure and why we offer discounts for adopted pets. We recently cared for a beautiful little Staffie called Jenson and it turns out that this little fella is quite a celebrity! 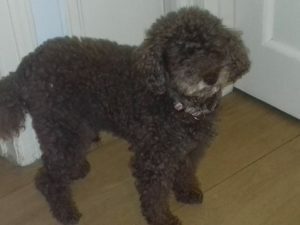 Having just received a five-star review from his owner, we have learned that he was recently featured in Paul O’Grady’s programme ‘For the love of dogs’, where he was looking for his forever home. Jenson enjoying his bench in the garden. Andi, his Pet Nanny, had already featured Jenson on her Facebook page, having become totally smitten. He was adopted by his now owner Kate, after only two weeks fostering and at the princely age of 8 ½ is still as spritely as ever. 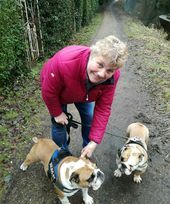 When Kate came to us looking for the ideal pet sitter, she explained that Jenson was adopted, but there was little information about him. 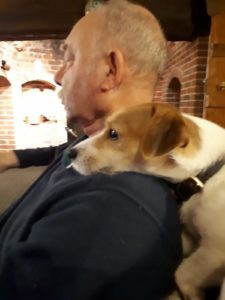 She knew that he had two previous owners and discovered that he was not keen on cars, could not be left alone without destroying the furniture and barked quite a lot! Jenson was featured in episode 5 in October 2016, when Paul was seen taking on the role of doggie masseur. Jenson has suffered accidental, permanent scarring on his back, which had left his skin dry and itchy. Jenson was really struggling with kennel life, until he found his forever home with our client Kate who initially foster him before falling for his charm. 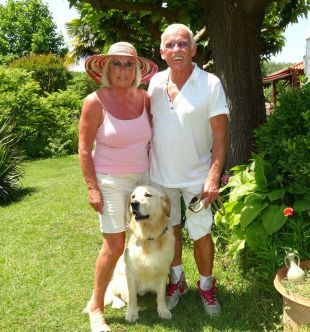 Both Andi (his Pet Nanny) and his owner, have both said that he is a complete star. He now loves his car journeys and has shown no desire to shred the furniture, in fact he is a glowing testament to the real nature of a Staffordshire Bull Terrier and not the demon dog that some of our media would have you believe! There are so many advantages of adopting a rescue pet and Jenson is a shining example of the joy they bring into our lives. 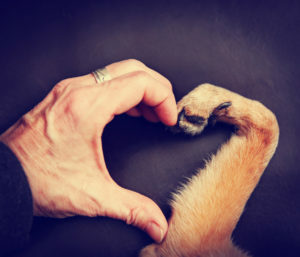 Not only are you re-homing a pet, you may also be saving the life of another by making room. They say that you cannot buy love, but you can buy it from a rescue centre! 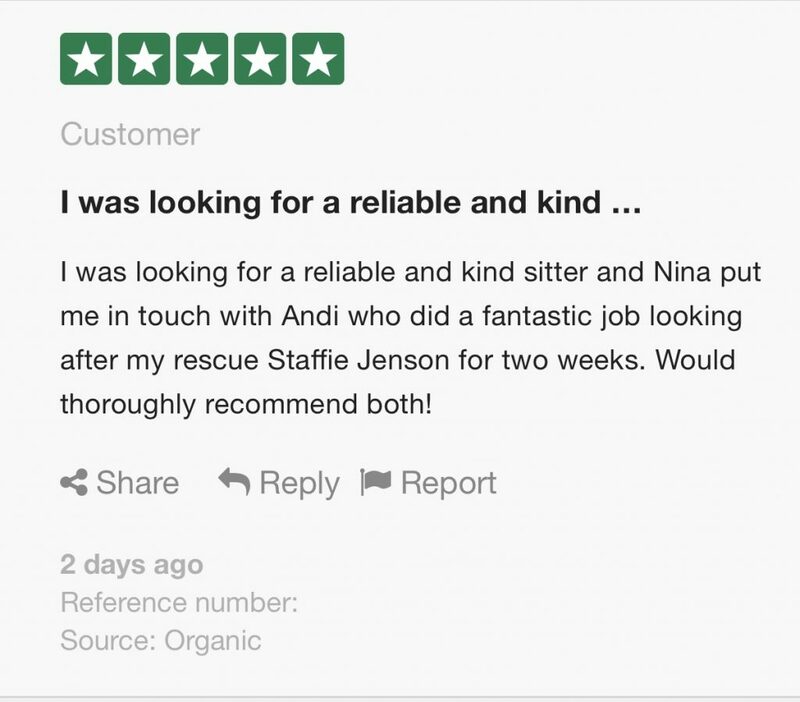 We would thank to thank Jenson’s owner Kate, for the wonderful review left on TrustPilot We so appreciate client testimonials and the fact that they take the time to show how much they and their pets have enjoyed our service speaks volumes about our service. If you are an animal lover with at least fifteen years caring for domestic pets, live-in pet sitting could be the ideal job for you! 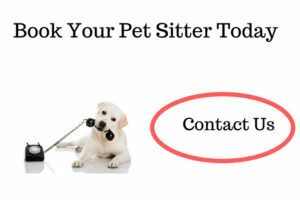 Do you have at least fifteen years’ experience caring for domestic pets. This can include caring for your own? Do you have your own transport and a clean driving license? 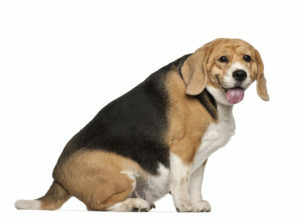 Are you active, since most of your assignments will include exercising dogs on a regular basis? Are you honest, trustworthy and reliable? Are you willing to travel and free of family commitments? Are you level headed and able to cope in an emergency? Are you willing to provide a police disclosure? Are you a resident in the U.K and do you have a permanent U.K. address? If you have answered yes to all the above questions, we would love to hear from you. Nina’s Nannies for Pets have a team of mature, responsible people working either alone, or as a couple. 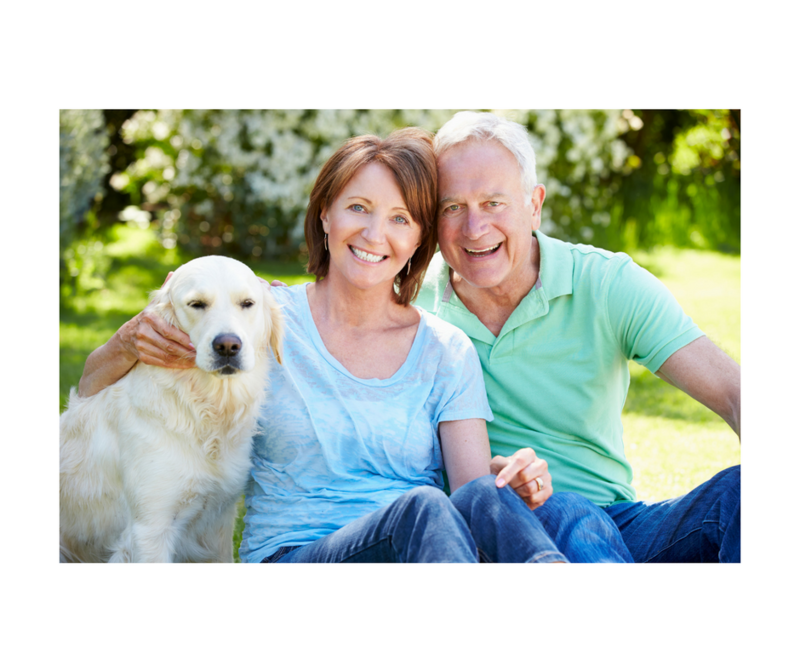 Our priority is first and foremost the care and welfare of clients pets and maintaining home security.